GIS (Geographic Information System) is a computer system for collecting, sorting, retrieving, manipulating and displaying spatial (locational) data. A GIS is a decision support system for Florence County that involves the integration of spatially referenced data in a problem solving environment that empowers elected and appointed officials to make timely and accurate decisions. 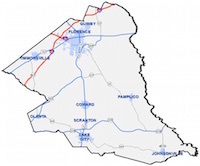 Florence County GIS creates and prints maps to assist the citizens and departments within Florence County; however, a GIS system is more than just making maps! Florence County GIS provides mapping solutions via custom applications through the web or a mobile device. These solutions are easy to understand, simple to use and have the ability to save time and money. 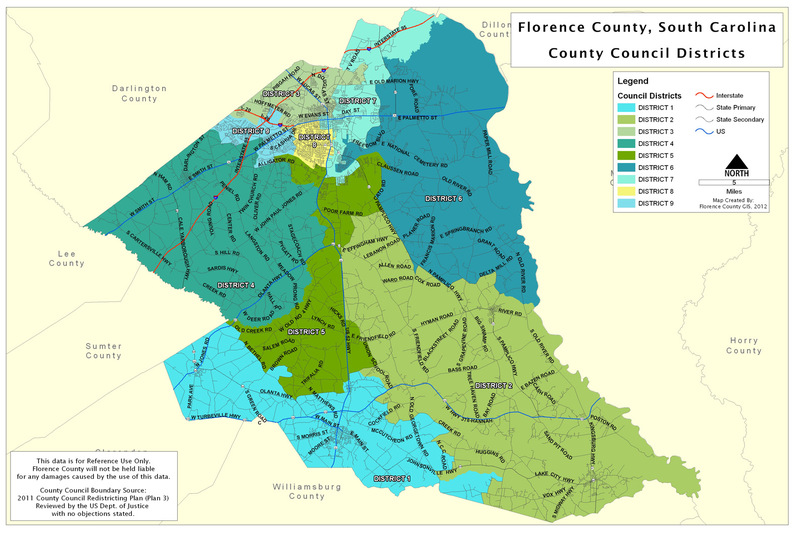 Florence County GIS strives to improve the quality of life for all citizens of Florence County through excellence in the use of geographic information and technology. Need Help? Find us on YouTube.